Friday night we all went out to eat at Pappasito’s (delicious!!) hung out at my apartment, and then we went to watch the fireworks at Kaboomtown (ranked one of the top 10 fireworks shows in the country!) Hundreds of thousands of people go to watch them, and I heard the traffic is always nuts. 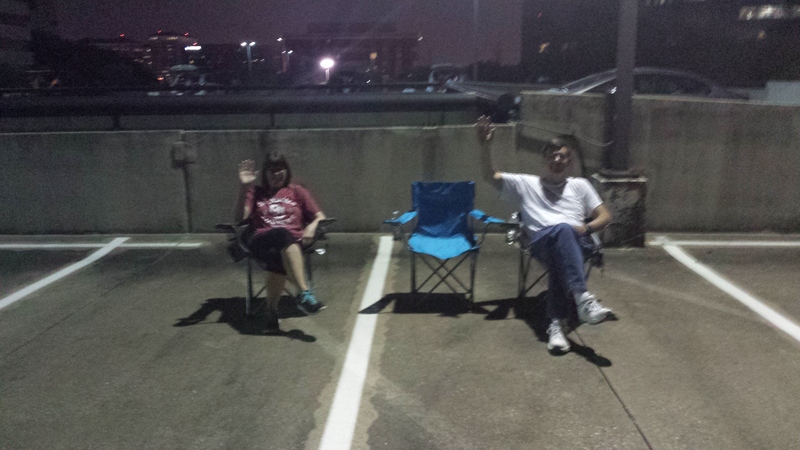 My boss suggested that we find a parking garage close by to watch the fireworks show and it was the best idea! We still had a great and close view but we didn’t get stuck in an hour of traffic trying to get home. Smart move! On Saturday, I took my parents downtown to show them my new hood. 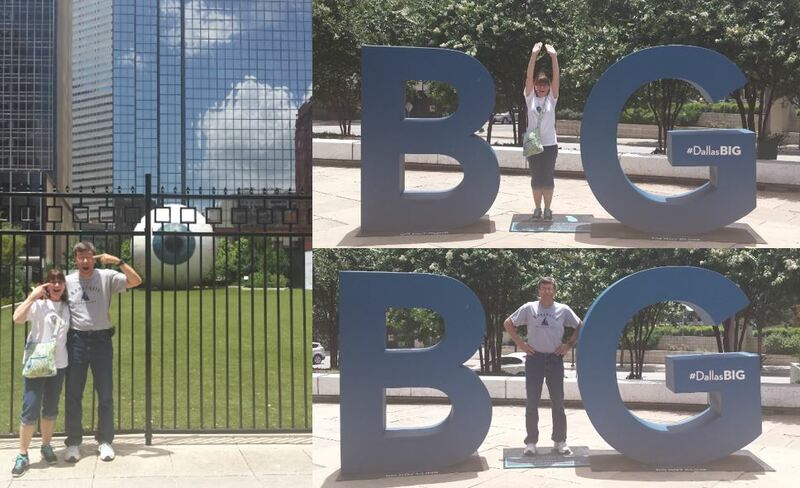 We saw my office and my desk, we had lunch at Chop House Burger, I showed them some of my favorite areas (like the eye statue, obviously! ), and we went to the Sixth Floor Museum at Dealy Plaza. The museum was SO well done and INCREDIBLY informative. 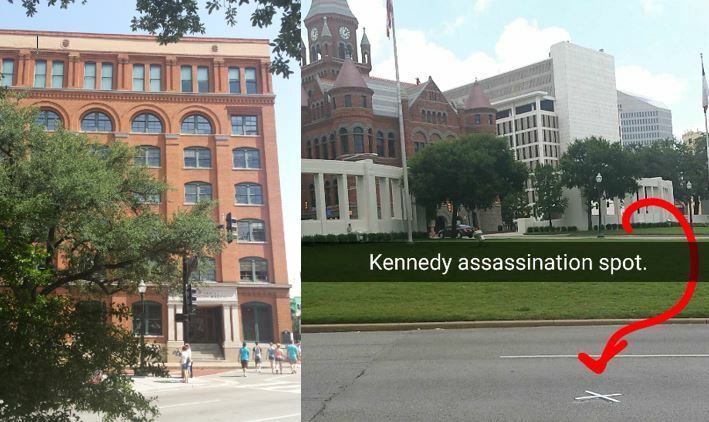 I learned so much about JFK and his assassination thanks to the audio-guided tour. It took about 2 hours to get through but it was so worth it. That evening we had dinner at my brother-in-law’s cousin’s house (they always stay there when they are in town) and they had homemade ice cream for dessert! If there is one thing that my family loves (and comes to expect on the 4th of July) it is homemade ice cream. It was almost as good as my grandpa’s! 🙂 Sunday we all went to my church and out to lunch before heading our separate ways. 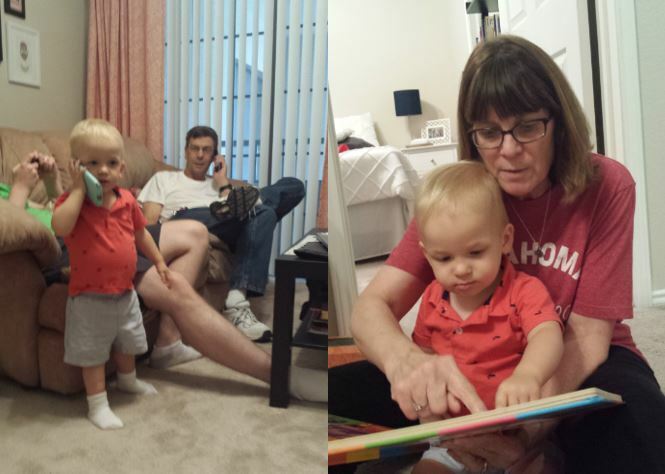 It was so good to see everyone and it was so refreshing to spend some good, quality time with my family. I’m not gunna lie, I’m not hating that I live in the middle of everyone- getting to see my family and not having to travel at all? Yes, please! 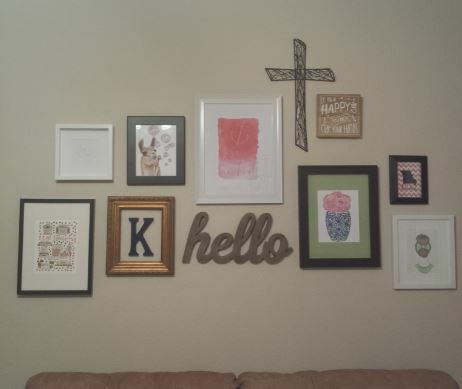 Oh, and I FINALLY hung some pictures in my living room- thanks to my mom for assisting! The big eye sculpture reminds me of the sculpture gardens in Minneapolis . I love places like that! I just wish they opened up the gate in front more often! I can’t believe I grew up in the Dallas area and have never been to the JFK museum! I would love learning more about the history- glad you got to go! If you ever have the chance to go, do it! I can’t say enough just how well done it was! They had videos and artifacts, I learned so much!